Online ordering menu for HUMMUS MEDITERRANEAN RESTAURANT. 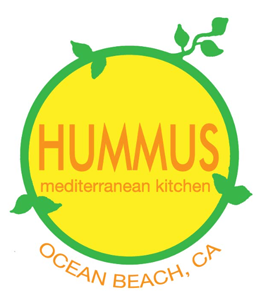 Come to Hummus Mediterranean Restaurant in San Diego, California if you're in the mood for delicious Mediterranean food! We serve sandwiches, wraps, salads, and more! We also serve Kabob, Chicken, and Filet Mignon Skewers! A couple of our burgers include the Falafel Burger and the Veggie Burger. We're just a couple of blocks from Ocean Beach Pier at the corner of Newport Avenue and Cable Street. We're not far from Ocean Beach Branch Library and Ocean Beach Athletic Area Robb Field. Order online for carryout!